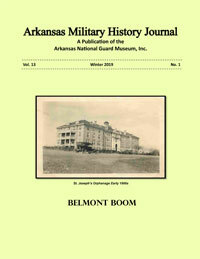 The mission of the Arkansas National Guard Museum is to collect information and artifacts relating to the Arkansas National Guard and its militia predecessor and relating to Camp Robinson and its predecessor Camp Pike, and to make that information, those artifacts and the Yeater collection available to the public and to posterity. 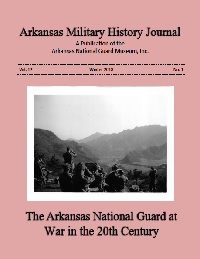 Come explore the history of Arkansas, its National Guard, Camp Pike and Camp Robinson. 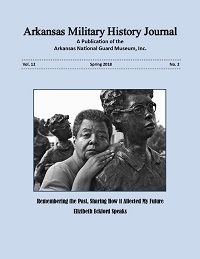 The Arkansas National Guard Museum is provided as a public service to the People of Arkansas and this nations, to preserve and interpret our history and the role played by the National Guard, Camp Pike and Camp Robinson. Do you have something to share or time to spare? Military Identification or driver’s license, vehicle registration & proof of insurance to get a day pass. Audio tour available at no cost. 12 years ago today, on 09 April 2007, the 39th Brigade Combat Team received an alert for a second deployment in support of Operation Iraqi Freedom. The brigade had been home almost exactly two years since demobilizing after it’s first deployment in support of Operation Iraq freedom from October 2003 through March 2005. This second deployment for the 39th Brigade in support of OIF would be dramatically different from the brigade’s first OIF deployment. Instead of deploying as a Brigade Combat Team, the brigade was tasked with filling 28 unit request for forces (URFs). These UFRs involved supplying convoy security companies, force protection companies, base defense operations center and garrison command cells. Additionally, instead of an 18-month mobilization, with 12 months actually deployed to Iraq like the first tour, this mobilization would be for a total of 12 months, with approximately 10 months being deployed to the combat theater. Once again the brigade found itself with a shortage of personnel to fill these taskings. Many of these shortages were caused by unresolved medical issues from the first deployment. This time the Arkansas National Guard decided not to ask for outside support, but met the brigade's need for personnel by task organizing the 217th Brigade Support Battalion from the 142nd Fires Brigade, and three companies from the 87th Troop Command to the 39th Brigade for this deployment. The brigade was placed on duty in October 2007 to prepare for its second deployment to Iraq while still under state control. It began a 90-day pre-mobilization training period at Chaffee Maneuver Training Center (CMTC)on 1 October 2007. This allowed the unit to perform certain tasks in Arkansas and allowed unit members to be closer to their families for a longer period of time. April 4, 2004-Black Sunday: On this day in 2004, the war in Iraq became very real for soldiers and families of the 39th Infantry Brigade and the 1st Cavalry Division. Soldiers of the 2-5 CAV, one of the units that made up the 1st Cavalry Division, came under heavy attack in an area of Baghdad known as Sadr City. Lives were lost and lives are still being impacted to this day. Without the work of ABC journalist Martha Raddatz, this story would have only been known by a few. She covered the war and wrote the book "The Long Road Home," based on the events that started this day. National Geographic made an outstanding mini-series based on the book that features in depth interviews with those that were actually there. The Long Road Home - View schedule and show information.